We promote a family friendly youth ministry! 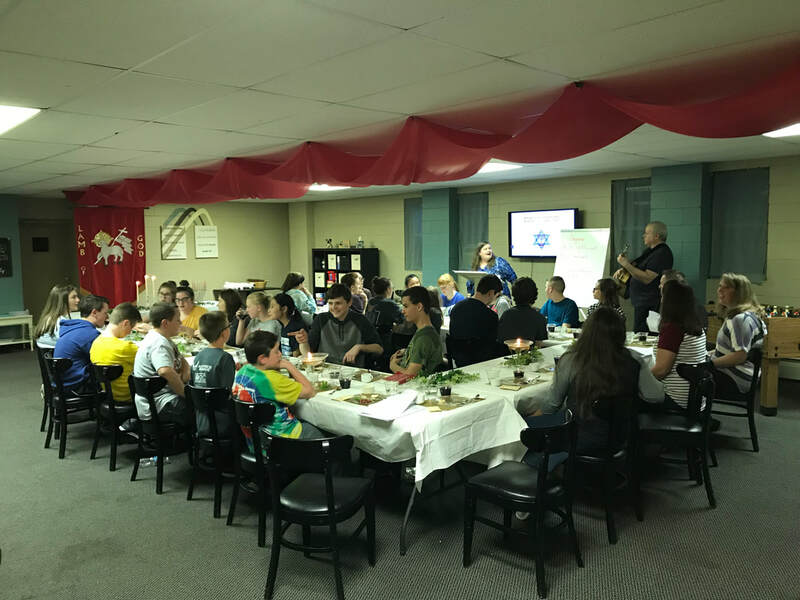 Our parent-led family friendly youth ministry is organized in such a way that parents can take a strong, active role in the spiritual growth of their teenager. Parents are invited and encouraged to attend, participate, and even help lead in these youth events. Click button below for details of events. Each month there is either a youth wide missions or fellowship event for all the youth. Additionally, each Sunday school class periodically has their own fellowship event. Celebrating the Passover tonight with the youth. training in Puppetry, Mime, Drama, Face Painting, Balloon Making, and more! VBS/Bible Club at a nearby Housing Authority in Pineknot, KY. Cost is $65/person. This is probably one of the most unique Ministry opportunities we have ever had. This is very exciting!!! You do not want to miss Mission Trip 2019!